A. Generally, a divorce is uncontested as long as your spouse does not hire a lawyer and spend thousands of dollars to fight the divorce. This would be very expensive for them to do. It is possible for your spouse to contest the divorce without a lawyer, but that is very difficult and rarely occurs. Q. What if we have property or debts? A. You can include anything you want as far as property or debts, as long as your spouse is not going to spend thousands of dollars to contest the terms of the divorce. All property decisions are made by you, in writing, and typed into your papers by us. Q. What if we have children of the marriage? A. All matters such as child custody, support, visitation etc. can be decided by you and included in your divorce papers. All decisions should be in the best interest of the children. Q. Does my spouse need to sign the divorce papers? A. No. Your spouse must be notified, but their signature is not necessary. Divorce papers can be served on your spouse without them signing. Q. Do I need a lawyer for an uncontested divorce? A. No. The Divorce Center will type your divorce papers, according to your instructions, and the papers will be filed with the Court. You may use a lawyer or mediator if you own a lot of property and can't decide how to divide it, but that is very expensive. Q. Must I appear in Court? A. In New Jersey there is a short Court appearance required. Only you have to appear, not your spouse. The Judge will sign your divorce papers and finalize your divorce. In New York, no Court appearance is required, however the Court can call you in if they have any questions regarding your papers. Q. How much does it cost and how long does it take? A. Please refer to our pages that coincide with where you live. Check out the New Jersey Info if you live in New Jersey, and the New York Info if you live in New York. Q. What if I can't get to one of your offices? A. Use our Divorce By Mail page. The process is the same as coming to one of our offices, and will save you a trip. Rest assured we have been providing Divorce By Mail for over 30 years and it is a simple and effective process. Or you can call us at 1-800-762-3111 and we will take your payment information right over the phone. Q. What if I can't locate my spouse? If you absolutely cannot find your spouse, you will have to pay an attorney to obtain a Court Order to place ads in a newspaper, informing your spouse that you want a divorce. Additionally, you must prove to the Court that you conducted a thorough search and were unable to find your spouse. Obviously, this is difficult and very expensive. It will be much easier for you to find your spouse on your own. You can call 1-800-USSEARCH (1-800-877-3272) or go to USSEARCH.COM and they may be able to help you for a small fee, usually less than $50. Q. What other requirements are there? A. As New York and New Jersey each have different requirements, check out New Jersey Info or New York Info for more information. A. All Divorce Center work is fully guaranteed. We have been Members of the Better Business Bureau for 30 years. Q. 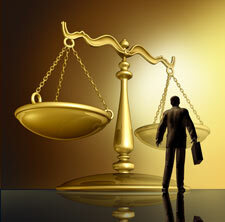 What makes Divorce Center different from any other service? A. The large size of this company together with the 37 years we have been in business, gives Divorce Center the ability to give you the best service at the best price. We have a large staff, modern equipment and resources that no small company can match. Additionally, our locations provide you with the convenience and peace of mind of knowing you can stop in and speak with a trained representative.